Roofity Supports We Are Cherished! roofing is often overlooked by a potential home buyers for more aesthetically pleasing areas such as kitchens and bathrooms. The roof is one of the most important features that protects a kitchen or bathroom from the elements. Even though it usually comes as an afterthought, a modern roofing trend in buying or building a home is now placing emphasis on the design and roofing materials used. 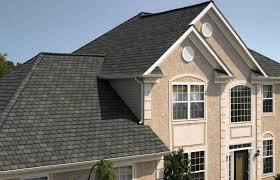 Residential roofing also took a new turn when shingles were produced with a new, algae resistant component. Homeowners have always understood the importance of the longevity for their roofs, and investing in an algae resistant shingle allows a piece of mind that their roofs will last longer and perform better. roofing contractors have picked up on the trend of more technologically advanced shingles, so they are producing more color and style choices. Metal roofing has also gained market share in high-end custom residential homes. The metal roof gives an impressive curb appeal along with being exceptionally durable to the elements. This is a top choice for homes in the DFW area due to the ability to stand up to the harsh Texas climate. If you would like more information on new roofing possibilities, please contact us. We look forward to helping you. Roofing: Do you Need a Roof Replacement? “Do I need to hire a roofing contractor to replace my home’s roof?” This is a question homeowners will begin to ask themselves as their roof ages, particularly knowing that the average roof lasts around 20-25 years. However, there is much more that goes into determining whether a roof is in need of replacement than its age. Here are a few of the signs you can look for that can help you to determine whether or not you should consider having your roof replaced. One of the easiest ways to determine the health of your roof is by inspecting its shingles, as the state of your shingles can tell you a lot about your roof. Missing, broken, and cracked shingles are often a sign of a worn out roof that needs to be replaced. 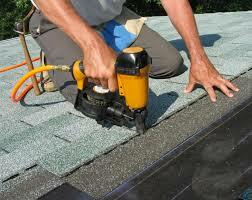 Shingles that are curling, buckled, or are missing granules are another sign to look out for. While a few problem shingles can be replaced, widespread shingle damage on your roof is a good sign that your roof is in need of replacement. Inside of your home, it is important to be on the lookout for signs that your roof may be leaking; this is often easiest to see from within your attic. Signs of water damage can include streaking on the underside of your roof and along your attic walls. Another sign that can indicate a leak would be discovering damp insulation in your attic. Either of these signs should be cause for concern, and reason enough to have a specialist take a look at your roof. These are a few of the easiest signs for homeowners to identify that can indicate that their roof may need to be replaced. However, many of the signs that can indicate a roof needs replacing are more subtle and difficult for the average homeowner to detect. If your roof is aging and you suspect that it may be in need of replacement, it would be a good idea to have it looked at by a specialist who can help you to decide whether your roof may need repair or replacement. Contact us to find out about having your roof inspected as well as to find out about more of the signs you can look out for that can indicate roof damage.